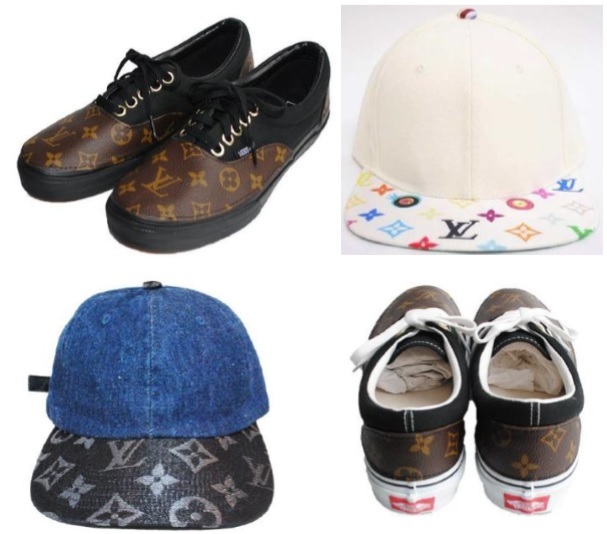 Appellant has produced shoes, caps and other fashion items by making use of material of secondhand Louis Vuitton goods (see below) and promoted the items as a custom-made remake, e.g. LOUIS VUITTON REMAKE DENIM CAP/BLUE, through internet. Louis Vuitton filed a lawsuit and demanded to stop selling the items as well as payment for the damage on the grounds that appellant’s act constitutes unfair competition under Article 2(1)(ii) of the Japan Unfair Prevention Act. Article 2(1)(ii) of the Unfair Competition Prevention Act is a provision to prohibit any person from using a famous source indicator of another person without permission. Appellant argued they become popular among relevant consumers as a business entity to produce a custom-made remake from secondhand of genuine brand. If so, since consumers are fully aware that the items are remake, neither faked goods nor brand-new article, confusion is unlikely to happen in the mind of consumers. Besides, appellant insisted as long as the Louis Vuitton Monogram is not used as a source indicator but design, the Unfair Competition Prevention Act is not applicable to the items. 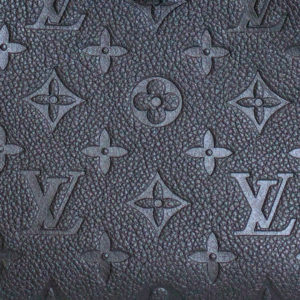 The IP High Court decisively dismissed appellant’s allegations and decided the monogram on the items still plays a role of source indicator in view of remarkable reputation of Louis Vuitton Monogram. It can be easily presumed that average consumers at sight of the items shall conceive Louis Vuitton. Even if the items are sold as a custom-made remake or with any description to appeal the items made from secondhand, such facts will not affect the decision on the merit. The Unfair Competition Prevention Act is essential to the case where actual confusion would not happen in fact regardless of unauthorized commercial use of famous brand. 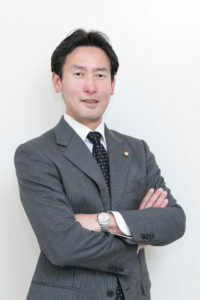 Posted on 2018年11月4日 by Masaki MIKAMI in damage, Device mark, Famous mark, infringement, IP High Court, Likelihood of confusion, Unfair Competition Law and tagged Article 2(1)(ii), IP High Court, Louis Vuitton, Monogram, Remake, Unfair Competition Prevention Law. The Japanese Government promulgated the Trans-Pacific Partnership (TPP) Implementation Law No. 108 of December 16, 2016. Inter alia, in the field of intellectual property, it entails amendment of provisions concerning monetary remedies in an attempt to harmonize with TPP. New Trademark Law introduces additional statutory damages for trademark infringement enabling trademark owner to recover the amount of damage equivalent to expenses paid for initial acquisition and maintenance (renewal) of trademark registration under Article 38 (4). Where trademark owner or exclusive trademark licensee claims damages from infringer for trademark infringement undertaken intentionally or negligently, and the infringement constitutes the use of a registered trademark (including a mark deemed as identical from common sense with the registered trademark as well as a word mark depicted in different fonts; a mark with identical pronunciation and concept written in different characters among Hiragana, Katakana and alphabets; and a device mark deemed as identical with the registered trademark in appearance) in connection with any of the designated goods or services, the owner or licensee is entitled to recover the amount equivalent to expenses paid for initial acquisition and maintenance of the trademark registration in general. Article 38(4) provides for a new option to recover minimum damages from trademark infringement. New monetary remedy is indeed less punishable in comparison with existing statutory damages since infringer is just liable for expenses incurred in the administrative procedures of trademark registration and renewals. Monetary remedy under Article 38(4) is deemed applicable to a case where infringing mark misuses a registered trademark or its equivalent on designated goods/services. In other words, damages based on Article 38(4) are not recoverable provided that infringer misused a mark similar to the trademark registration. Therefore, if disputed marks are not deemed identical, but similar, damages provided under Article 38(1) to (3) are recoverable. New Trademark Law is scheduled to become effective on the day of the TPP coming into force. TPP is a 12-nation trade pact aiming to liberalise the flow of goods among countries in the Pacific Rim. Japan ratified TPP agreement on December 9, 2016, however, the new US administration of President Donald Trump has said its trade strategy to withdraw from the TPP trade pact, which the United States signed but has not ratified. Unless two major economic powers ratify the agreement, TPP will never come into force. Posted on 2017年1月28日 by Masaki MIKAMI in damage, infringement and tagged damage, infringement, TPP.